Red RC - RC Car News - Page 4081 of 4234 - Red RC - RC Car product news, views and race results. HoBao have released this new optional for their Hyper 8 that allows the user to easily adjust the cars Ackermann and toe settings. When mounted in the car there are now 3 positioning holes for the steering rod, to adjust the Ackermann while in the center is a screw which you can easily adjust to increase or reduce the space between the two ends of the steering plate, increasing or reducing the cars front toe out. Another report from Xray, this time from the first round of the 1/8th TT Norwegian National Championships that were held last weekend. Xray driver Morten Thorkildsen won his semi final to take the number 1 spot for the final where he was able to pull away and stretch out a lead and despite running out of fuel 100 meters before the end, could take the win in front of Losi 8ight racer Viggo Andreassen in 2nd and Kyosho racer Rune Karlsen in 3rd. We exclusively informed you last week that Kyosho had bought Team Orion, and now it has been confirmed – “Team Orion, with 20 years experience as the maker of the some of the world’s best electric and nitro power systems, has joined forces with Kyosho, the maker of the world’s finest radio control models. Other than an eventual relocation for the respective Team Orion facilities, the same key people will be in place making all the same products that have made Team Orion such a dominant force in the market. The combined strength and extra resources that result from the partnership will present new opportunities to expand the Team Orion product line.” In the picture, taken at the Shizuoka Hobby show last week is Mr Masayuki Susuki, Kyosho president alongside Philippe Neidhart (center) from Team Orion and Joel Johnson from Kyosho USA. 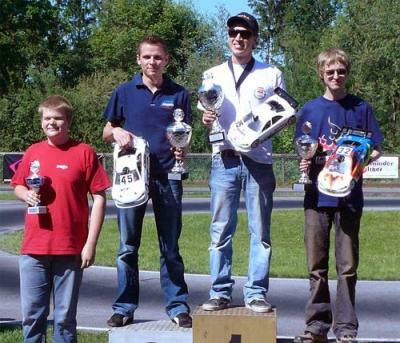 Robert Pietsch continues to win in the South of Germany as the 3rd round of the regional championships took place last weekend in Rosenheim. Qualifying on Saturday and Sunday resulted in Robert Pietsch taking the TQ spot on his home track with Thomas GÃ¼nsel in 2nd and Sebastian Feller in 3rd, all 3 drivers racing the Xray NT1. At the start of the main final, Robert took off into the lead leaving GÃ¼nsel and Feller to battle it out for the 2nd step on the podium, eventually being decided when Feller had a coming together with another car, dropping him back, but still managed to recover to 3rd behind the winner Pietsch and 2nd placed GÃ¼nsel. 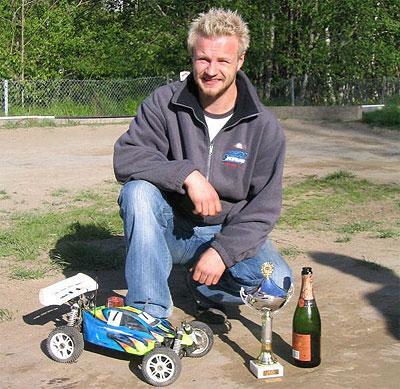 Kyosho were in touch to tell us that their team driver Johnny LoGiudice has earned the title of RC Pro Series Modified National Champion for 2007 driving a Kyosho Ultima RB5 in the 2WD class and a Kyosho Lazer ZX-5 in the 4WD class. During the final event of the season, LoGiudice took TQ and was well on the way to a win when a motor failure took him out of the running, but he had already accumulated enough points to capture the National Championship in the class. LoGiudice and Elliot Manchez, also driving a Kyosho Lazer ZX-5, qualified first and second. LoGiudice was a full second faster per lap and finished with a full lap on the entire field while Manchez finished in second. 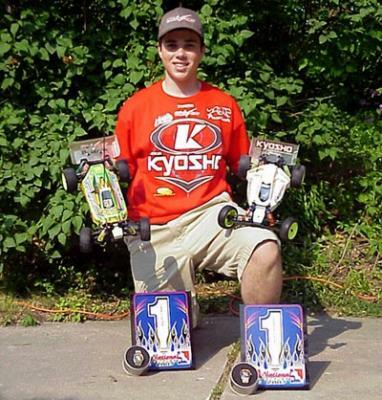 Congratulations to Johnny LoGiudice as the 2007 RC Pro Series 2WD and 4WD Modified National Champion. 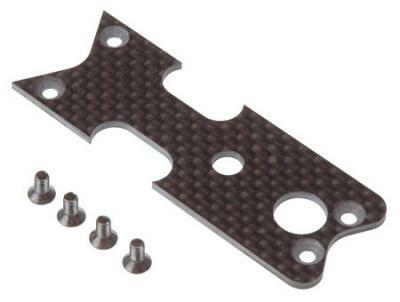 Serpent have released this carbon filler plate for use with their new LCG chassis plate that we showed you a while ago. 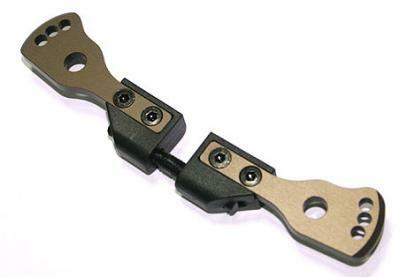 The plate comes with the fastening material to fix it to the chassis and is suitable for mounting in the front of both the SPP chassis as a spare and the latest LCG machined chassis as an optional. What it does is, when in place it stiffens up the front of the chassis, which of course affects the cars handling dramatically. Sirio have released their new power clutch set that is suitable for use with the Xray NT1 and the Kyosho RRR range of 1/10th scale cars. 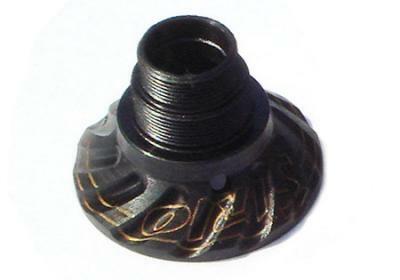 The bell housing (above) is sold as part of the set and features cooling fins that allow the temperature of the clutch to stay low without the removal of material which could compromise strength, and reduce clutch shoe contact area. The bell housing is also available seperately and doesn’t come supplied with pinion gears, those that come with the Xray and Kyosho will fit. Yet another exclusive first look at some new products by Much More, from our site partners RC Forum in Korea. 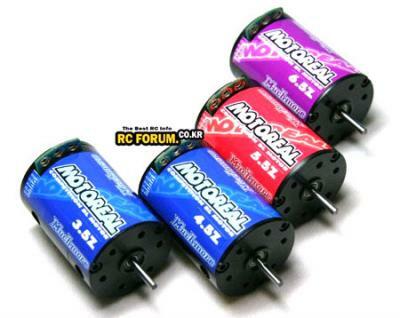 According to the report, the Motoreal is one of the 2 new ranges of brushless motors soon to be released by Much More and these are the modified motor versions. These particular motors are available for on road touring class with 3.5 and 4.5 turns while the 2 off road versions come in 5.5 and 6.5 turns.